disease (NCD) related morbidities, mortalities and causes public health problems. among a group of Karbi women of Assam, Northeast India. lifestyle variables were collected using a pre-structured questionnaire. Results: The prevalence of overweight and obesity were 17.33% and 14.33%, respectively. 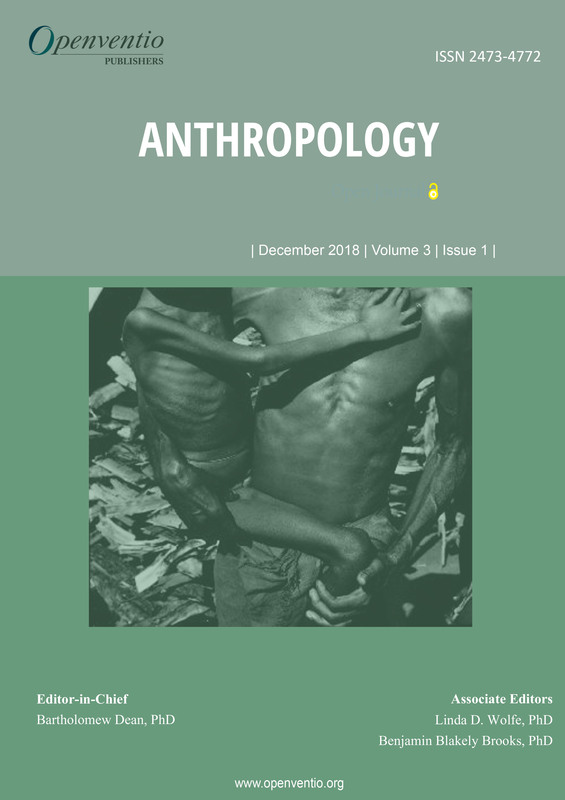 Anthropology – Open Journal (ANTPOJ) is an online open access web portal which covers a wide area of human health and illnesses, health care systems, diseases and bio anthropological measures. 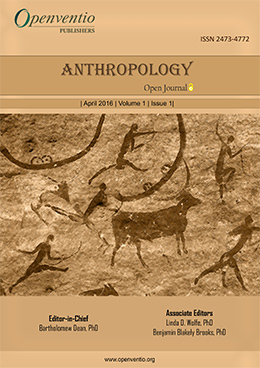 Anthropology covers fields like social, cultural & biological. ANTPOJ purely focuses on the medical aspects of anthropology that would cover the biological and physical strains that invariably involve, healthcare and all related issues. Openventio aims to highlight all the detailed matters related to anthropology and to bring information from all the authors and diverse sources in a uniform way through our well-designed open access portal. 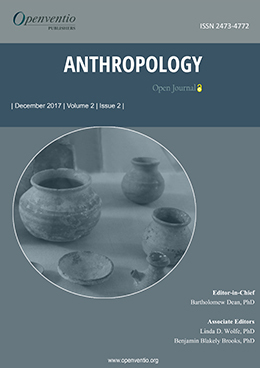 Anthropology – Open Journal aims to create awareness and discuss issues pertaining to anthropology and its co-relation with medicinal sciences, community and interdependencies among each other. Submissions for this journal are accepted from the very roots of anthropology to the latest research advancements in the field of medical anthropology. The contributors of ANTPOJ includes doctors, midwives, nurses, research fellows, local community practitioners, psychiatrists, social scientists and students of various universities and general communities from different parts of the world.